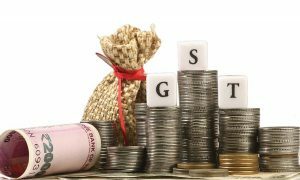 WHEN the BJP-led government came to power in May 2014 with the clarion of ‘demographic dividend’, boasting of India’s youth power, one expected paradigm changes in an area that brings pride and glory to the nation in general and youth in particular. The best area for this was winning an Olympic gold. As the government completes almost half its tenure, what we have is a lucky bronze and silver out of a total of 974 medals, with gold nowhere in sight. Even these were won by two committed and hard-working girls who have been sweating it out for long. Men lost out even before the races really started. The final medals tally at Rio tells an interesting story. The top 22 countries—those with double-digit medals with a minimum of three golds—took home a total of 702, or 72 per cent, of all medals. The top ten are the US, Great Britain, Germany, France, Italy, Australia, Russia, Japan and South Korea along with China. It is often implied that wealth and size are the reasons for the success of these countries. They have the facilities and programmes in place. They are bound to win. So goes the arguments. This logic does not seem to hold much water. With few exceptions, Olympics medals are won by youth between the ages of 15 to 29. The graphic below shows the medals won per 100,000 of population in the 15-29 age-group, for 22 countries. Tiny New Zealand (total population 4.6 million) emerges on top, with 1.8 medals per 100,000 in the relevant age group, followed by Jamaica with 1.57 medals and Croatia with 1.43 medals. New Zealand won an astonishing 18 medals that has mostly gone unheralded. These countries are not the richest, they do not have the size and muscle, their small size restricts the depth of internal competition and they don’t have superior sports administrators or the best of facilities. IN this game of averages China, despite winning 70 medals (Gold-26, Silver-18, Bronze-26), has an extremely low population-medal ratio. Imagine how abominably pathetic India’s ratio is with almost the same population as that of China but just winning a silver and bronze. Despite this shame, at home, political leaders have taken over the ‘medal chase’ with their bluff and bluster. From chief ministers Chandrababu Naidu, Chandrasekhar Rao and ML Khattar to sundry MPs and MLAs, these worthies are looking to convert photo-ops into political-ops. Leading the relay pack was Andhra Pradesh CM Naidu, who even set up a badminton game with PV Sindhu and declared the match a draw without smashing one shuttle! Telangana CM Rao posed in umpteen photos with Sindhu, smiling sneakily at the silver medal. Rival chief ministers showered competitive candies on players. 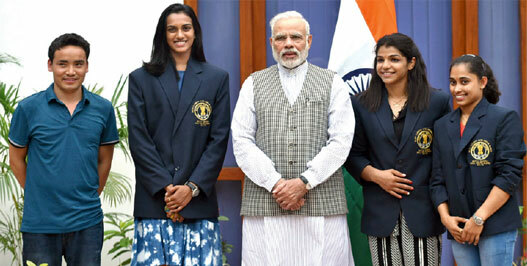 Rao presented Sindhu a cheque of Rs. 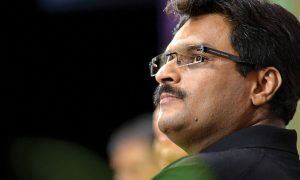 5 crore while Naidu has set aside 15 acres at the new nature-killing rajdhani (Amaravati) for a new badminton academy. When it comes to Olympics champions, such leaders are willing to run the marathon as long as there’s a selfie moment afterwards. Meanwhile, a 100m race is taking place between CPM and Trinamool over gymnast Dipa Karmakar. Who’ll felicitate her better, Mamata didi or Manik dada? While Tripura CM Manik Sarkar sprinted to Dipa’s home, TMC’s Mukul Roy will undertake some floor exercises in Agartala when TMC felicitates her. TMC and Left don’t like dangling on parallel bars in Tripura. 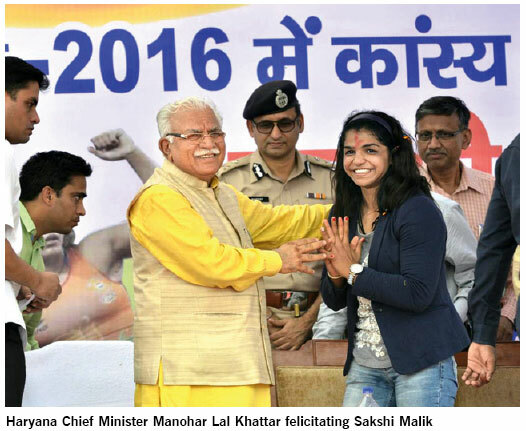 IN Haryana, CM Khattar gifted Rs. 2.5 crore to Sakshi Malik. Thousands came to see Sakshi but were treated to hours of lecturing by an akhara of netas. Politicians didn’t notice the disappointed crowd, because they were busy doing kushti for the perfect Sakshi selfie. In the next few days, everything will be back to square zero with mediocrity ruling the roost. But Prime Minister Narendra Modi seems to be having a long-term plan. He has announced the setting up of a Task Force, which will help to plan for “effective participation” of Indian sportspersons in the next three Olympics, to be held in 2020, 2024 and 2028, respectively. He is also crowd-sourcing ideas as to how to win Olympics medals! “Hence the suggestion to rejuvenate the Olympics sports through a Public-Private-Participatory (PPP) mechanism, which has already become the in-thing in India. 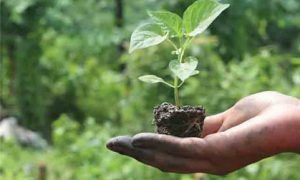 The model is simple and capable of implementation within a short period of time. We have Central Government institutions and undertakings like Army, BSF, CRPF, Railways, ports, banks, insurance companies, ONGC, IOC and other oil companies, NTPC, BHEL, BSNL, SAIL, coal companies, airlines and others with fairly good infrastructure and manpower base. There are equally large business groups engaged in several industrial/service activities. Some of these are Tatas, Reliance, Birlas, Mahindras, WIPRO, INFOSYS, L&T, private banks & insurance companies, automobile, cement, textile, information & communication technology, real estate & construction companies, all of whom are making big money in a booming economy. Then there are the ‘autonomous federations’ for each sport functioning under the Olympic Charter, who have the duty and responsibility to lay down the rules, conduct high-class competitions, select players on merit, train them meticulously and field them against the world’s best. We have several State governments, who either have reasonable sports infrastructure or are capable of developing these in a short time. We have the Union Ministry of Youth Affairs and Sports, charged with the duty and responsibility of guiding and coordinating sports development in the country at all levels and extend support through specific schemes and programmes so that the country’s youth have creative and competitive activity in which they can excel. The Ministry has Sports Authority of India, reduced to another bureaucratic add-on. NOTHING came of it and Virender Poonia, a Dronacharya awardee, tells us why: “Our sports policies are formulated by people who have perhaps never participated even in their school’s sports meet. And that’s hurting our sports and sportspersons the most.” One has to only see the despicable and chaotic manner in which sports events/tournaments are organised and the rotten ground conditions to understand the depth of mediocrity of Indian sports! An overwhelming majority of our athletes/sportspersons come from poor and rural background. In the small towns and villages, they start their sporting journeys with coaching and infrastructure that is very basic and primitive. Most of them struggle to get a nutritious diet, a must for someone aspiring to be a professional sportsperson, in their growing years. 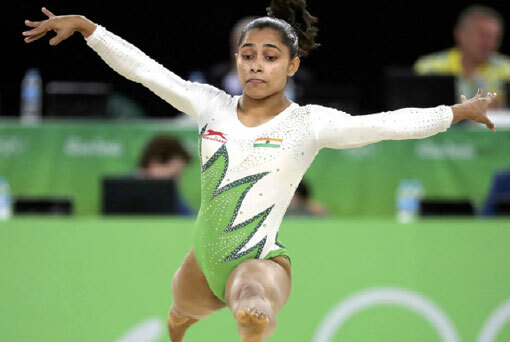 Glaring examples of the odds these athletes have to beat to reach the national and international stage are Dipa Karmakar and Lalita Babar, the two women who gave stellar performance at the Rio Olympics. Babar, who hails from a dusty village in Maharashtra, didn’t even have a pair of running shoes while she was growing up. Karmakar, from Agartala, started off by training in a rickety gymnasium, using shock absorbers from discarded scooters as spring boards. Even these basic facilities are now drying up. Most district authorities seem obsessed with developing yoga infrastructure, because that is what the ‘swamijis’ want. Even where good infrastructure and facilities are available, sports do not bloom because it does not make careers. Motilal Nehru School of Sports at Rai (on the outskirts of Delhi at Sonepat) in Haryana is a case in point. In this school, 31 students went up to the international level, but they gave up later. After leaving the school, they generally concentrate on academic career because of lack of job opportunities for sportsmen. This school has 842 students from class IV to XII. It is compulsory for each student to adopt a game of one’s choice. The school has an athletics stadium, swimming pool, gymnasium, tennis, volleyball and basketball courts, equestrian lines, football, hockey and cricket fields and squash courts. It is 43 years since the school was established, yet there has not been one Olympic medalist! As it is, leadership in this country in all walks of life is mediocre and of low calibre. If the sports associations and bodies are dens of non-performing vested interests, the government machinery in India, both at the Centre and the States, is no better. Except earmarking a pittance for sport development and perpetually promising grandiose sport policies, governments have done precious little to genuinely promote sports and games in the country. The Sports Authority of India, established with all fanfare and which is eating up most of the sports budget, is nothing more than a sanctuary of bureaucratic intrigues, incapable of even maintaining the infrastructure and assets it has. In its present form and style, it is futile to expect any improvement in the working of the sports bodies or government departments in charge of sport. Fortuitously, the BJP has within its elected ranks two ex-Army men who were capable of shaping talented sportsmen as champions. One is Lt Col Rajyavardhan Singh Rathore, himself an Olympic silver medalist in shooting, and the other is former Army Chief, General VK Singh, an outstanding Ranger/Commando in his days. But, both have been wasted out in soft assignments while sports administration was handed over to softy-softies! As for strategy, the suggested PPP model can be combined with ‘cluster approach’, taking advantage of the existing infrastructure and facilities. To start with, one could think of Chandigarh, Rai, Goa, Pune, Hyderabad and Guwahati as possible clusters. Details can be worked out by genuine experts. The time to start is yesterday, lest India’s Olympic laurels continue to remain a distant dream!